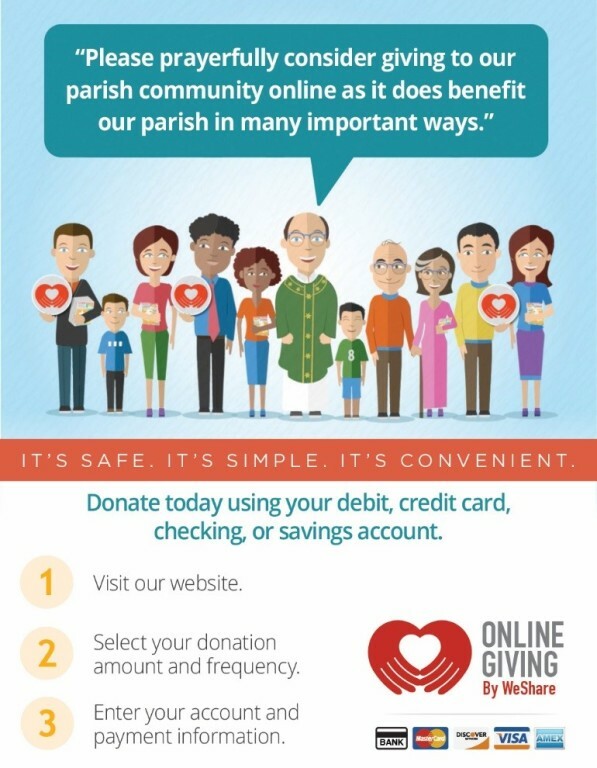 The benefits for the parish include: no check processing fees; more consistent giving with recurring contributions; online donation summaries for record keeping; reaches a wider demographic of givers; and accommodates all special parish collections and missions. If you would like to sign up, check this link that includes our parish's Online Giving Web site address. If you have any questions about the program or about setting up your account, please don't hesitate to call the parish office. Thank you.